Some of the top performing professional and amateur athletes in various sports have adopted some form of Cross-training to improve their performance. These athletes use weight training, a boxing bag workout, cycling, yoga, plyometrics, swimming, and power walking, just to name a few types of Cross-training exercises. In addition to the physical benefit of Cross-training, the athlete also gains a mental dimension of confidence, stability, and consistency. 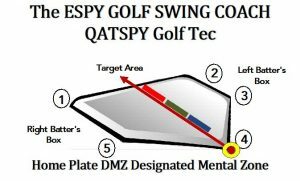 I will use an example of the mental dimension benefit of stability and consistency later on in this article on a story that aired on Golf Channel during the 2018 Drive, Chip, and Putt competition held at the Masters. There are primary muscles, as well as secondary muscles that the golfer depends on to execute their golf swing sequence. The difference between the primary muscles and the secondary muscles is that while the primary muscles are directly engaged in the golf swing sequence, the secondary muscles are the stabilizing muscles. Secondary muscles provide balance, posture, flexibility and, more importantly, resistance during the golf swing sequence. Resistance is just as important to the golfer as the actions of the primary muscles that are engaged in the golf swing sequence. 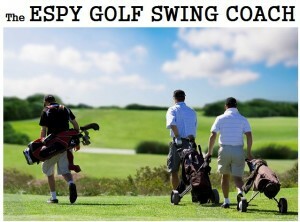 I like the term golf swing sequence, because of the chain reaction that takes place. The golf swing isn’t one movement with one muscle, but a sequence of muscles. Cross-training and fitness help improve the effectiveness of the secondary muscles, due to how the different muscles are worked. At age eight (8), after the first grade, I had a pre-existing learning disability that wasn’t detected in preschool. 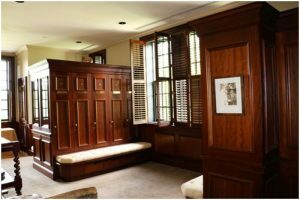 I had impaired vision that also affected my balance and stability. After my vision was corrected, I worked with a physical therapist on my balance and stability issues. To my amazement, I made a tremendous improvement in my learning capabilities during the summer months to prepare me for the second grade. Learning was actually enjoyable, instead of an obstacle. My experience with stability and balance was not unique. Studies have shown that stability interferes with a person’s learning ability. The multimodal balance task (MBT) that I performed during my physical therapy improved my stability and learning performance. Multimodal is another term for Cross-training. Research has shown that motor skills associated with other exercises alter the sensor motor function and brain structure to improve the learning capabilities of the student. The positive effects of multi-discipline sports called Apperception help to reinforce and improve the athlete’s motor skills, because the brain has to establish new pathways needed to support the athlete’s activity called Neuroplasticity. The athlete has to develop their secondary muscle to provide their stability. Neuroplasticity is critical for early childhood development. My experience with Cross-training directly improved my learning capability and performance. The term Neuroplasticity is an extravagant word for the brain’s ability to reorganize itself by forming new neural connections, so this could possibly be key for Alzheimer’s theory. Neuroplasticity allows the neurons (nerve cells) in the brain to compensate for injury and disease and to adjust their activities, in response to new situations or to changes in their environment. It activates new areas of the brain. 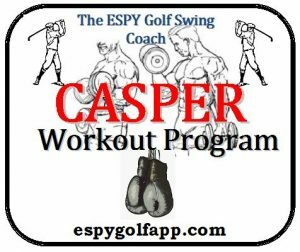 This Cross-training approach, or apperception, can significantly help golfers. The sport of golf, along with a proper diet, provides an excellent therapy treatment for various complications with medical issues such as: maintaining a healthy weight, lowering cholesterol and blood pressure, flexibility, mental health, and overall physical health. I typically use a pedometer on my I-phone when I play golf, and typically record up to 9.5 miles that I have walked when using a pull/push hand cart. The Cross-training technique of coaching golf goes far beyond just the physical benefits to provide the mental horsepower that accounts for 90 percent of the golfer’s performance. There’s a statement that is used by the medical and physical training field that states- What benefits the body and heart also benefits the mind. 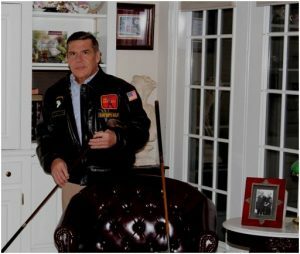 Multiple-discipline type sports and exercises, that I proved by overcoming my disability, have mental benefits, in addition to physical benefits. I refer to this Cross-training as ESP. The example that I mentioned earlier in this article was from a story that aired on Golf Channel during the 2018- Drive, Chip, and Putt competition about a young man, Kaden Ford, that has epilepsy. 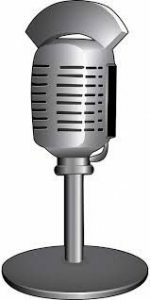 During the Golf Channel interview, Kaden’s mother explained how resilient the human brain really is. She described how one day while Kaden made his backswing, he had an epileptic seizure where Kaden blacked out. Kaden recovered just in time at the top of his follow through swing to witness a great tee shot. 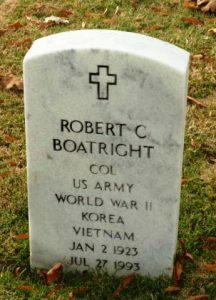 His mother credited muscle memory for the execution of his golf shot. I would also, in addition to Kaden’s muscle memory, credit his Cross-training that developed Neuroplasticity. Neuroplasticity is like a road detour, where the brain reroutes around the interference during Kaden’s epilepsy that allowed him to complete his tee shot. Another point that was brought up by Peter Jacobsen, with Golf Channel, was the multi-sports that the kids are participating in that was evident during the Drive, Chip, and Putt competition. Jacobsen described that most kids were engaged in other sports, like baseball, basketball, tennis, and soccer. 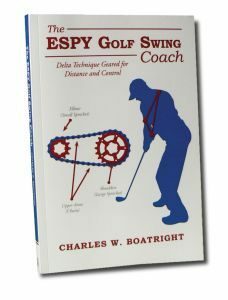 Participating in other sports is the advantage of the coaching technique called Apperception, which is a key part in my book, The ESPY Golf Swing Coach. These sports enhance eye-hand coordination in kids. This is the major benefit that Cross-training has. This was a technique that my grandfather taught me when I was twelve. 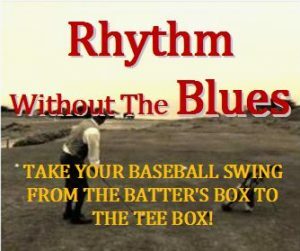 Besides using the baseball-style golf swing of Sync/Preset, shown in the time-lapse photo below, I also used the Home Plate golf swing technique as part of my golf swing and routine. 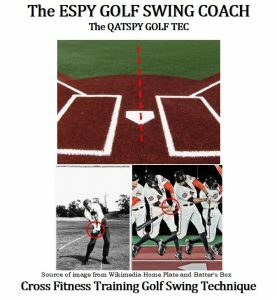 It is actually an easy golf swing technique to learn and apply with positive results used during training sessions and on the golf course. 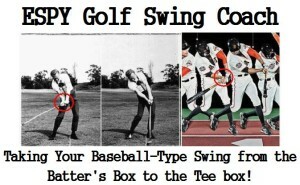 It becomes part of your normal golf swing routine, without even thinking. And that’s what a routine is supposed to do, eliminate thinking. 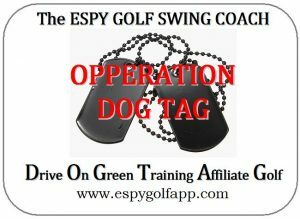 Your aim is to limit your thinking on the golf course and just develop a Concise Routine Optimum Swing Sequence Training. A major part of Home Plate Cross-training Technique is to create a mental image of a home plate and batter’s box to increase the golfer’s focus. This refers back to what Peter Jacobsen was referring to by kids participating in other sports. The Home Plate Cross-training technique focuses the golfer’s attention on a very small area that includes the golf ball and home plate. The length of the home plate (17- inches) is the length of my impact area and follow through alignment. Properly align your stance to your desired target line. The batter’s box places the golfer into a Designated Mental Zone of focus, like a batter focusing on the pitch. Sync/Preset wrist action in golf swing, similar to That Wrist Thing as Charlie Rymer described David Duval’s golf swing during an interview on Golf Channel. Drop the tip of the handle of the club down at the back corner No. 4 of home plate. Keep your head down until the clubhead passes in front of home plate. Keeps the clubface pointing toward the target line longer, until the clubhead swings past the front part of home plate on the follow through. NOTE: Bullet number four (4) is key of dropping the tip of the handle of the golf club down toward the orange and red target of home plate shown above. The Cross-Training golf swing technique creates more power and accuracy in ALL of your golf shots. These five points represent one corner of home plate. This is a great pre-shot routine to go through while standing behind the golf ball before stepping into your batter’s, or golfer’s, box. Once in your batter’s box, nothing or no one else is allowed into your box, and your only focus is the ball and home plate. Everything else fades from your consciousness. In Section 12.1.6 my book, I use another baseball batter’s technique that Pernilla Lindberg used during the 2018 ANA Inspiration Golf Tournament. During Pernilla’s setup routine, she raised her arms up into a baseball batter’s position over home plate before lowering them again, placing the clubhead behind the ball. This is a great golf swing technique to properly set the golfer’s elbows, in relation to the golfer’s shoulders. This is what I call the dual sprocket technology. Home plate and the batter’s box are great coaching techniques that the golfer can use during training sessions and on the golf course for producing consistent golf shots and to set up shape shots, as described in Section 13.4 of my book. Remember to allow the golfer’s conscious mind and their subconscious mind to synchronize with each other, and that the practice has to resemble playing conditions. This is one reason why I like the Home Plate Coaching Technique over the two club techniques used in the Sports Illustrated Golf Magazine’s Private Lessons Section, in the March 2018 issue. Home plate is probably one of the best self-coaching techniques for power and consistency that the golfer can use, on and off the golf course. The simple home plate coaching tool is a unique coaching tool to create lag by presetting the proper wrist action in the golf swing, as these are two important components.